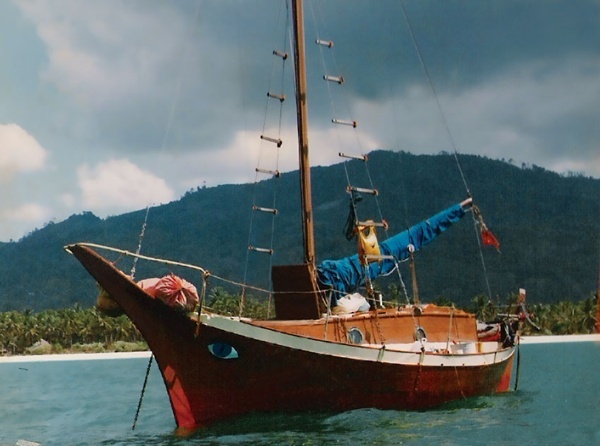 On an early August evening in 1978 a small yacht named Foxy Lady – a twenty-five foot, Malaysian-built “double-ender” – was plying the waters of the Gulf of Thailand. Three young men were aboard – laid-back western adventurers in their late twenties. Two of them owned the boat, the third was along for the ride. They had left Kuala Terengganu on the east coast of the Malaysian Peninsula six days previously, and were making their way north about 900 kilometres across the Gulf to Bangkok, the capital of Thailand - perhaps, on a "Thai stick" run. For some never-to-be-known reason, the boat was now a long way off course, close to the coast of Cambodia – or Democratic Kampuchea, as it was then called – a country which had been in the vicious grip of the Khmer Rouge for three devastating years. The three men may have made the fateful decision to get in close to land in order to grab some photographs of the coastline (one of them fancied himself a bit of a photo-journalist); or they may have been blown off course by a storm. Or, perhaps, it was merely a matter of some rather sloppy navigating. Whatever the cause may have been, it brought severe and fatal consequences. They were on the south side of Koh Tang, an island lying about 45 kilometres off the coast, south-west of Kampong Saom and the Ream Naval Base. The men were probably unaware of the fact that the Khmer Rouge had recently declared a 200-mile exclusion zone off the Cambodian coast. Any vessel in that area would be considered an enemy, manned presumably by spies. Seemingly out of nowhere, a Khmer Rouge gunboat appeared, and immediately opened fire. One of the westerners was standing exposed on the deck of Foxy Lady. At six-foot-six he was an easy target. He was killed instantly by the hail of machine-gun bullets that raked the yacht. The other two men slipped over the side of their vessel and tried to hide. But they were quickly found. The young Cambodian sailors, Khmer Rouge zealots, transferred them to the gunboat and raced back to base. Foxy Lady, apparently, was abandoned – left to drift on the waves. A day or two later, the captives were moved by truck to the capital, Phnom Penh. They didn’t realise it at the time, but their dead friend had been the lucky one. His had been a quick death. They faced two months of imprisonment in the city’s infamous Security Office 21 (S-21). “Security Office” was a euphemistic misnomer. This was a death-camp. In just three short years, about 17,000 people were exterminated ruthlessly within its precincts: men, women and children - mostly Cambodians, but also foreigners, like the two young men from the Foxy Lady. They would live in squalid conditions in tiny cells, tortured until they fabricated for their captors tales of C.I.A. spying, and eventually executed by order of the Khmer Rouge leadership (the Standing Committee - about 10 key people - led by Pol Pot). Almost thirty years later, in the fall of 2007, Canadian freelance journalist and broadcaster Dave Kattenburg was in S-21 - now known as the Tuol Sleng Genocide Museum. He was looking through the museum’s photos archive, when he came across a picture of a westerner, an Australian – a “long-nose”, as a politically-incorrect Cambodian might put it. Kattenburg was intrigued. How did a westerner end up in S-21? And had there been others? ﻿﻿ Back home in Winnipeg that winter, Kattenburg did a google-search, using the terms “Tuol Sleng” and “foreigner”. As he read through the web pages that emerged - link by link - he discovered that there were nine western yachtsmen – four Americans, two Australians, a New Zealander, an Englishman and a Canadian – who had been seized from boats off the coast of Cambodia in four separate incidents. A Canadian? He had never heard before that a Canadian had died at the hands of the Khmer Rouge. 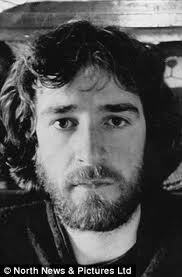 The name of that man, he discovered, was Stuart Robert Glass, from Richmond in British Columbia. He was the six-foot-six man shot on the deck of the Foxy Lady. Kattenburg wanted to know more about this unknown figure; he decided to investigate. About eight months later he reported the results of his preliminary research in a feature article for The Globe and Mail in Toronto (August 16, 2008). But he knew he had the subject here for a book - his first book. 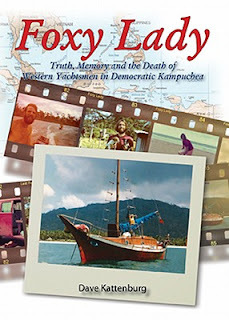 The result of his long, four-year investigation is the book under review here: Foxy Lady: Truth, Memory and the Death of Western Yachtsmen in Democratic Kampuchea (The Key Publishing House, 2011). This is an ambitious work. Focused primarily on the life and times of Stuart Glass, one of the co-owners of Foxy Lady (the other was New Zealander Kerry Hamill), it also gives you the history of Cambodia, charting the rise of the communist tyranny that was the Khmer Rouge - a small band of paranoid, psychopathic killers who laid waste to their own country. They were responsible for about 1.5 - 2 million deaths of their own people through execution, disease or starvation. About 17,000 people went through S-21. Virtually all of them were tortured and killed - then dumped outside the city in the “killing fields”. ﻿The Khmer Rouge tortured and killed anyone suspected of being an enemy: members of the previous regime, intellectuals, professional people, teachers, merchants, Vietnamese, Thais, Chinese – even, apparently, young, care-free western sailors who strayed into Cambodian waters by mistake. Democratic Kampuchea was forced into a radical revolution. Year Zero was announced - the beginning of a new age. A classless society was declared. Schools and hospitals were closed. The financial sector was eliminated – no banks, no currency, no finance. Private property was abolished. Everything was collectivised – mostly agricultural communes. People were forced – marched – out of the cities into the countryside. Collective farms were run with forced labour by people who knew nothing about agriculture. Crops failed. People were driven to exhaustion and then died easily of disease or starvation. And thousands and thousands were tortured and killed at S-21, including Stuart Glass’s two friends from Foxy Lady, New Zealander Kerry Hamill and Englishman John Dewhirst. But the first part of the book is focused on the early life of Stuart, growing up in British Columbia. Kattenburg interviewed his mother and members of the extended family. 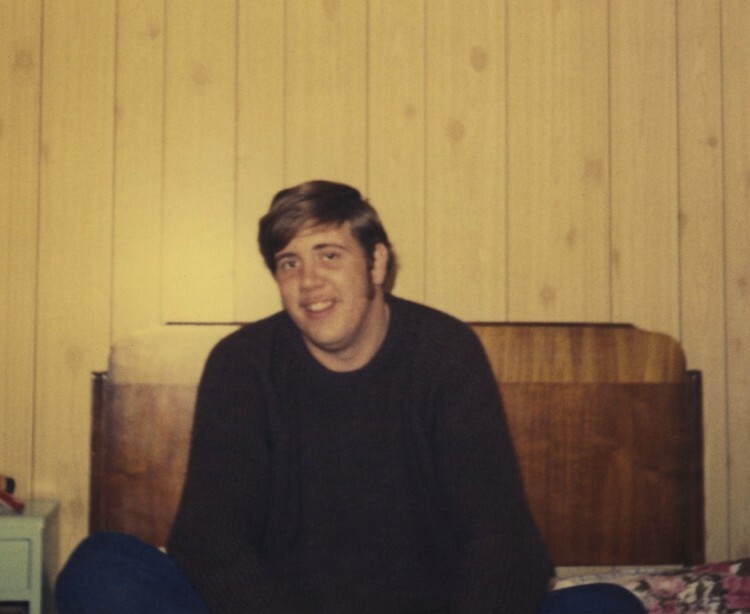 He paints a picture of an affable adventurer – a “gentle giant” who liked to take risks and was uncomfortable with the confines of a middle-class upbringing. So he started to travel. He went to England, met a young woman who was also attracted to a life of travel and adventure – Susan Everard. They married. Stuart made visits down to Morocco, and started smuggling hashish back to England. On one of these runs he got caught and was sentenced in February, 1974 to six months in jail - inside HM Prison Wormword Scrubs in West London. 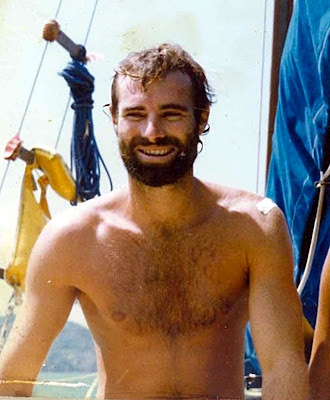 Eventually Stuart and Susan decided to travel to Australia, taking the overland “hippie trail” across Europe, through the Middle east and into Asia. The details of these adventures would fascinate anyone like me, who grew up in the 60s and 70s and did some backpacking through Europe on “$5 a Day” or Asia on even less! ﻿﻿﻿﻿Once the trajectory of Stuart Glass’s life of travel and adventure has been established, Kattenburg begins to alternate these biographical sections with chapters devoted to Cambodian history. And here’s where the book starts to falter. The amount of historical detail is far out of proportion with the amount that the average reader, even an interested and well-informed one, could reasonably be expected to deal with. And the material itself is based on secondary sources. The plethora of unfamiliar Cambodian place-names, political and military figures, for which we can only guess the correct pronunciations, makes this stuff hard to remember and hard to relate to. If Kattenburg had had an editor, this material surely would have been cut dramatically. Eventually, though, the historical account zeroes in on the particulars of the S-21 death camp and its commandant, Kaing Guek Eav – alias ‘Duch’. Again, the detail is immense; and coming at this stuff for the first time, it is difficult to follow the author's endless descriptions of the machinations amongst the various groups of Khmer Rouge leadership, at the local, regional and national levels. So the book veers uncomfortably between breezy sections of biography - full of human interest and incident, based on first-hand accounts - and difficult-to-digest exposition that wants to tell you everything, apparently, that the author has learned. One can see the strategy at work here: by alternating between biography and history, a sense of suspense and momentum is created – Stuart Glass’s life moving inexorably towards its fateful collision with Khmer Rouge forces. It also breaks up the dry stuff into more manageable chunks. 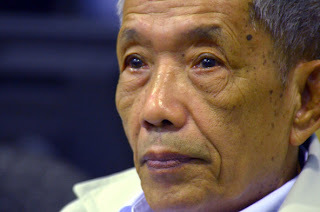 But as Kattenburg starts to rely more and more on the testimony that Duch gave to the Extraordinary Chambers in the Courts of Cambodia, a judicial body convened eventually to investigate the crimes against humanity perpetrated by the Khmer Rouge leadership, one starts to worry about the reliability of the evidence. No wonder the author ponders issues of Truth and Memory in the book's closing pages. In some ways the book becomes as much about Duch as it is about Stuart Glass and the other yachtsmen. Kattenburg’s book is well-written. The prose is clean and taut, and the style is good – although the author might want to check out the proper use of the semi-colon! There are some compelling sections in the book - the account of Glass's and Hamill's stay on Phuket Island is particularly interesting. And the closing sections, where Kattenburg seeks out former S-21 guards, is gripping - although ultimately inconclusive. He has shaped the story 'architecturally' to present it to its best advantage. Despite my reservations about the historical sections, the book is well organised and well thought-out. But the structure can't get away from the fact that the book's main protagonist, Stuart Glass, disappears from the stage two-thirds of the way through the book. And of this main character, one is left with the sense that the story here is more about an average Joe, notable not for anything remarkable that he did or achieved during his life, but simply that he and his friends were caught in the wrong place at the wrong time. They died a senseless, cruel death at the hands of an insane, murderous regime. But Kattenburg has certainly memorialised them in a sympathetic and admirable fashion. So, yes, for a first book, this is a tremendous achievement. I think with judicious and critical editing it could be even better. Regardless, it's a book I recommend. If you're interested in the history of Cambodia, you'll be captivated. If you can imagine yourself as a late-twenties hippy adventurer coming into a calamitous collision with an evil political despotism, this is an exciting story worth checking out. Good morning Clive. You make the chilling element of the Khmer Rouge regime all too evident in your analysis. I should imagine this is a compulsive layer to the book. How can people be so cruel? Your explanation seems to suggest that strong ideologies ruthlessly carried out lead to this sort of scenario where the believers will carry out any atrocity supported by the warped moral strength of their faith. Now where has that happened before??????????? The discussion about truth and memory is a very interesting exploration on it's own I should think. This book held my attention till the last page.One can only imagine the journey these young men had to endure before they were killed. It is an honor to David Kattenburg that he brought their story to light. This is the stuff of life itself. I look forward to reading more from this author. Who pays attentions to semi colons when your heart is in your mouth.